This paper aims at identifying the factors that influence the design of the accounting information system in the Tunisian small and medium industries (SMIs) through the characteristics of information, accounting management tools, and degree of formalism. The accounting information system is considered to be a key factor of competitiveness of companies. It provides managers with the relevant accounting information to help them with the decision making. Through a set of structural and behavioral factors, we tried to improve the understanding of the accounting information system in the developing countries, using Tunisia as an example. Based on a technical questionnaire, a total of 221 Tunisian companies operating exclusively in the industrial sector were studied. By using the PLS structural equation modeling, we showed that the design of accounting information system is influenced by several factors of contingency. When we looked at structural contingency, we found a positive and significant effect of the firm’s size on the degree of formalism. In addition, a positive and significant effect of the organizational structure on the characteristics of the accounting information systems was shown. Furthermore, the examination of the behavioral contingency showed that the manager’s profile affects in part the use of accounting management tools. In conclusion, our study extends the accounting information system literature and helps managers to have a framework to enhance the performance of their industries. Christ, L. K. & Burritt, R. L. (2013). Environmental management accounting: the significance of contingent variables for adoption. J Clean Prod, 41, 163–173 (online). Available: http://elsevier.com/locate/jelepro. Jänkälä, S. (2007). 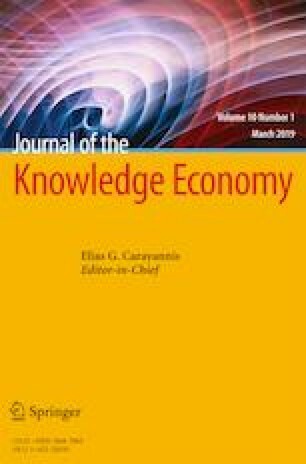 Management control systems (MCS) in the small business context : Linking effects of contextual factors with MCS and financial performance of small firms. http://herkules.oulu.fi/isbn9789514285288. Stepniewski, J., Souid, S. & Azzabi, L. (2008). La relation facteurs de contingence, complexité du système d’information comptable et performance financière. www.scribd.com/doc/51654351/La-relation-facteurs-de-contingence. Accessed 06/11/2010.